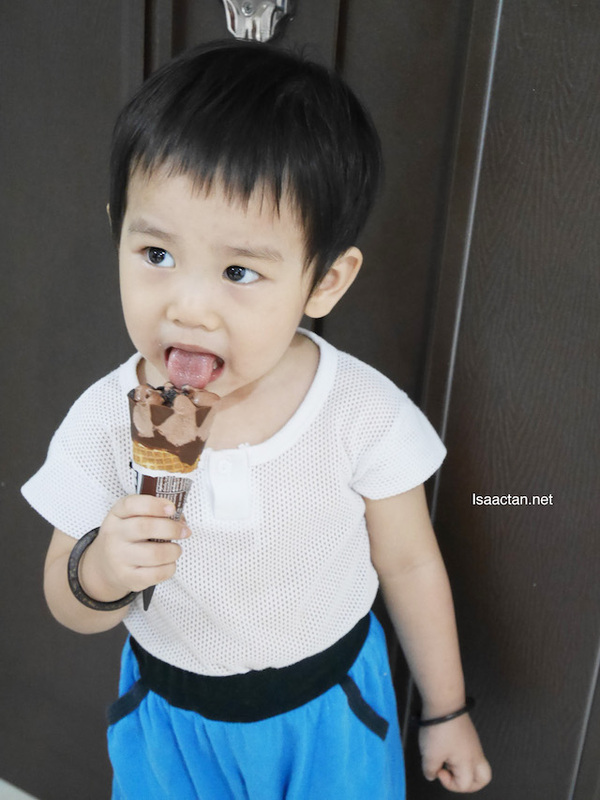 Ice cream lovers put your hands up! 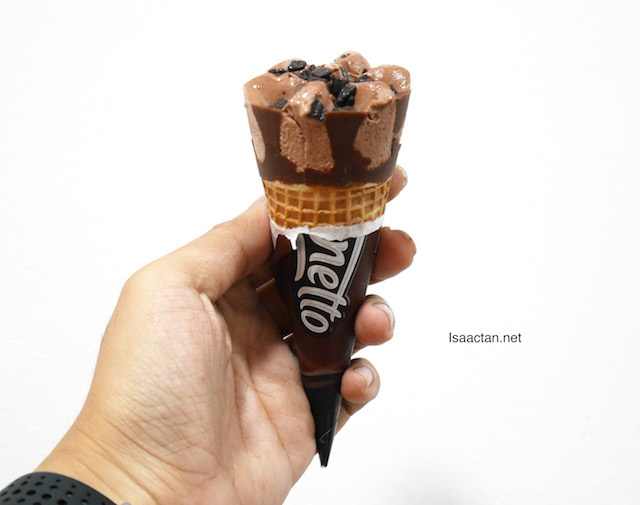 Now I've been a fan of Wall's Cornetto & Magnum Ice Creams for the longest time. 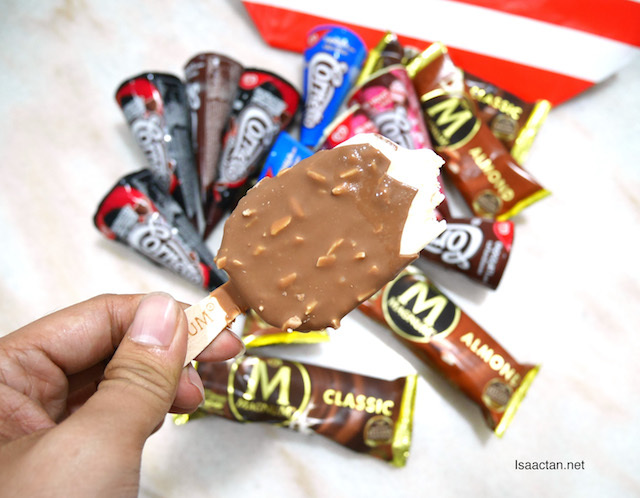 In fact, I'm absolutely in love with the Wall's Magnum Almond, with the crunhy outer coating filled with nuts. What better way to share my love of ice cream with my loved ones then to get a whole lot of Ice Cream for them. 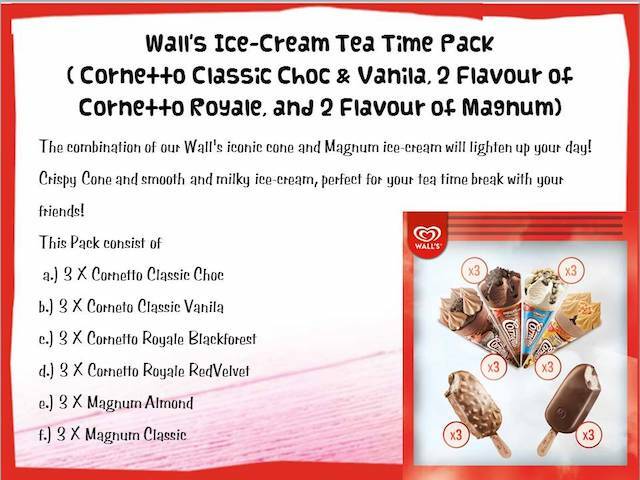 Get it delivered right to your doorstep with the Wall´s Cornetto & Magnum Ice Cream Tea Time Pack from www.11street.my . 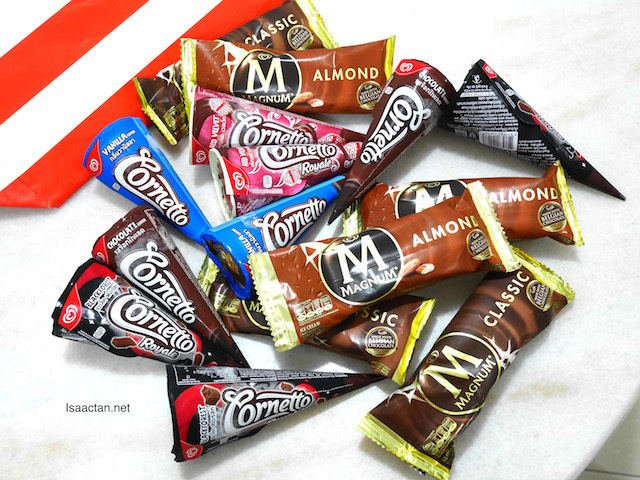 A combination pack of 18 Wall's Cornetto & Magnum Ice Cream, delivered still frozen cold right to your doorstep. How does that sound to you? My kids were super delighted when the delivery man came along the other day. Perfect for that tea time break with family and friends, it definitely lightened up our day. 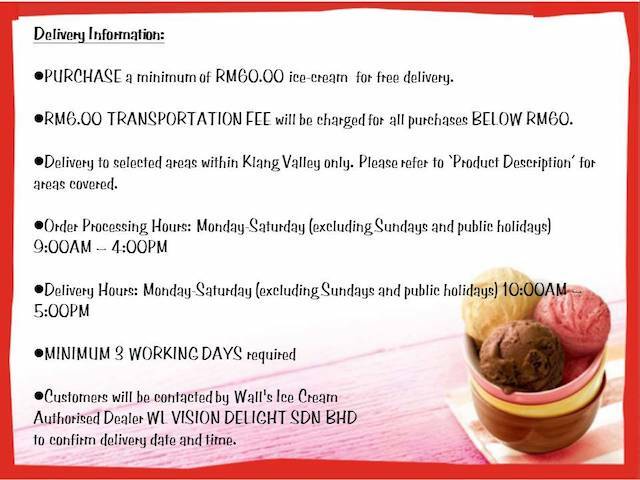 What is inside the Wall´s Cornetto & Magnum Ice Cream Tea Time Pack from 11street.my? Don't get me started on the Magnum Almond, I may just steal yours if you leave it laying around! So what are you waiting for? With 18 pieces of delectable Wall´s Cornetto & Magnum Ice Cream, it's that perfect tea time pack. You could even order it for your colleagues during tea break. They will love you for it, and you may just move up a couple of steps up the office social ladder. Head on to www.11street.my today! I love Magnum, not really into Cornetto. Often the cone is no longer crusty and nice.